The Invis-A-Rack Cargo Management System allows you to have a functional ladder rack that can be collapsed down into the bed rail casings when not in use. 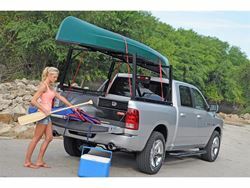 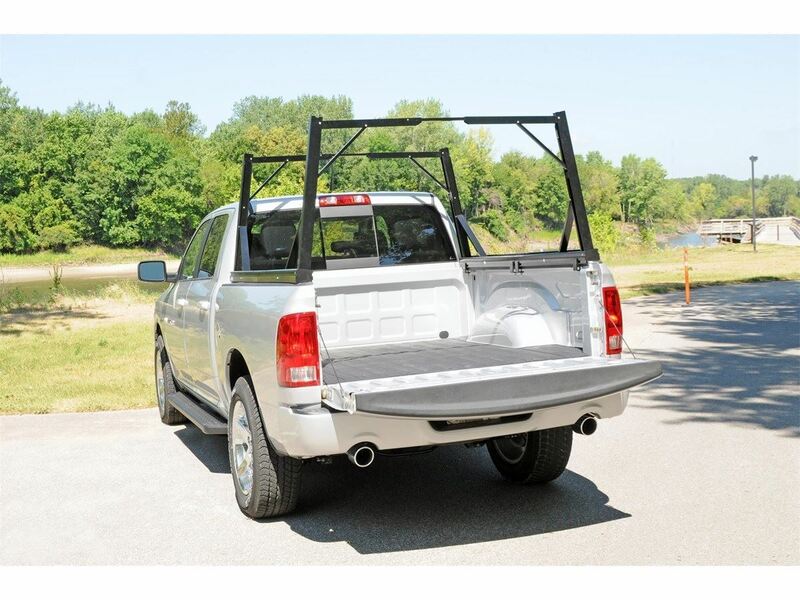 The DeeZee Invis-A-Rack Cargo Rack is made from lightweight aluminum for a strong rack that is still light weight. The innovative cargo system has high quality mechanisms that will last the life of your truck and provide a sturdy frame when erected. 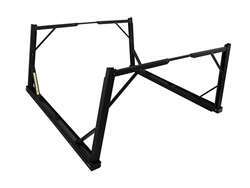 The rack is sealed by a texture black powder coat for a tough but good looking finish. 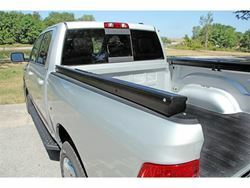 Installation of the rack is easy with heavy-duty clamps to secure the unit to your truck bed rails and no drilling is required. The Invis-A-Rack has a weight capacity of 500 lbs and is backed by a limited lifetime warranty.